Vincent and Ramirez both opted for free agency after clearing outright waivers and being removed from the Seattle's 40-man roster. With Herrman gone, the Mariners have eight open spots on their 40-man roster. The amount likely owed to either player wasn’t going to be worth the expected production. And because of that, the Mariners have two more players from their 40-man roster headed for free agency. 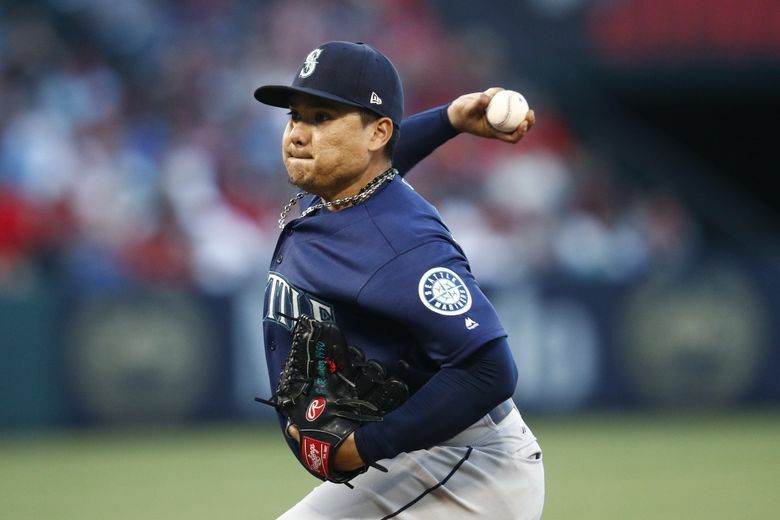 The team announced on Friday that right-handed pitchers Erasmo Ramirez and Nick Vincent had both cleared outright waivers and were removed from Seattle’s 40-man roster. Instead of accepting an outright assignment to the Mariners’ minor league system, both players had enough service time to opt for free agency. Ramirez, 28, was slated to be part of the Mariners starting rotation going into spring training. But a strained lat muscle delayed his start to the season with a disabled-list stint. Another shoulder injury two starts into his return put him back on the disabled list from May 1 to Aug. 12. He made just 10 starts in 2018, posting a 2-4 with a 6.50 ERA (33 earned, 45 2/3 IP) with 33 strikeouts and 12 walks. The Mariners reacquired Ramirez from the Rays last season in a trade for reliever Steve Cishek. Ramirez was third-year arbitration eligible. After making $4.2 million in 2018, he was expected to make close to $4.4 million this season. With five starting pitchers already under contract for next season, paying Ramirez that much money to serve as a spot starter/middle reliever was unnecessary. Seattle has a cheaper version of that in lefty Roenis Elias. Vincent, 32, appeared in 62 games, posting a 4-4 with 15 holds and a 3.99 ERA (25 ER, 56.1 IP) with 56 strikeouts and 15 walks. He posted 15 holds or more in three consecutive seasons. But like Ramirez, Vincent’s price tag was too high for what he was providing. As a second-year arbitration eligible player, he made $2.75 million in 2018 and was projected to make $3.5 million next season in his third year of arbitration eligibility. While he was effective for large portions of the 2016 and 2017 seasons, Vincent wasn’t quite as dominant this past season. He dealt with a groin strain and wasn’t quite as effective in high leverage situations. With Alex Colome and Juan Nicasio returning for next season and middle relievers Chasen Bradford, Shawn Armstrong, Dan Altavilla, Nick Rumbelow and Matt Festa all returning and making the MLB minimum, bringing back Vincent wasn’t a priority. The Mariners’ roster turnover continued on Friday afternoon with another player lost from last season’s team. Back-up catcher Chris Herrmann was claimed off waivers by the Houston Astros. Seattle’s 40-man roster is now at 32 players. Herrmann, who turns 31 on Nov. 27, hit .237 (18 for 76) withs six runs, four doubles, two triples, two home runs, 10 walks and seven RBI in 36 games with the Mariners in 2018. He was signed as a minor league free agent on April 5 after being designated for assignment by the Diamondbacks on March 25. The Mariners sent him to Class AAA Tacoma to start the season and selected his minor league contract on May 27. He missed three weeks in the middle of the season — May 30-June 18 — with a right oblique strain. Herrmann was third-year arbitration eligible and projected to make $1.5 million in 2019. With Herrmann off of the roster, it leaves David Freitas as the only other catcher on the 40-man roster behind starter Mike Zunino.